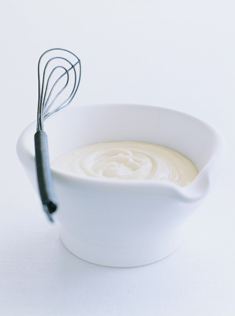 Process or blend the egg, lemon juice, mustard, salt and pepper in a food processor or blender until well combined. With the motor running, pour the oil in very slowly in a thin stream and process until the mixture is thick and creamy. Makes 1¼ cups.